3. 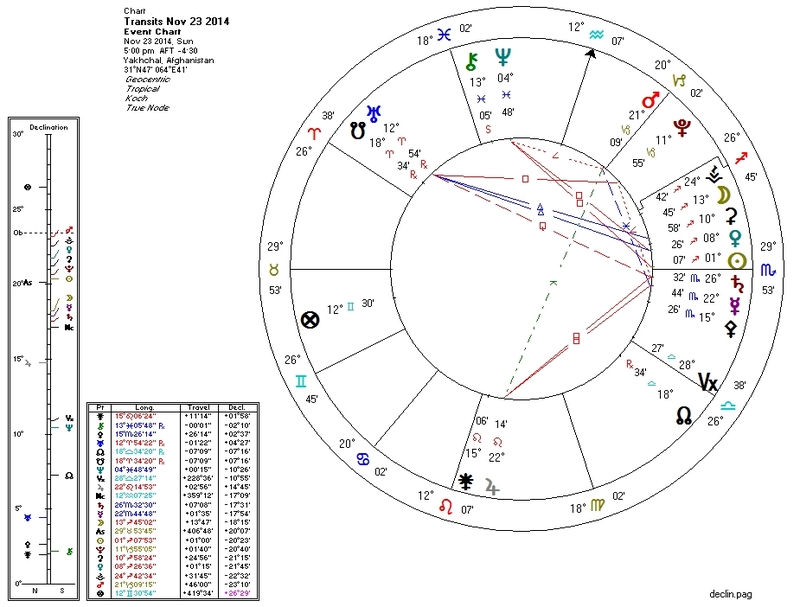 Pluto undecile Venus, indirectly quincunx her ruler Jupiter, and septile Mercury (ruler of Second House). 4. Pluto novile Sun (ruler of Fourth House) and indirectly quincunx Moon's ruler Jupiter. Yes, it's a bit weak... which is probably why Drudge hasn't reported other violence this morning. We are still in the waning Pallas-Pluto sextile: violence and oppression are to be expected as long as Pallas remains in the area of Pluto's effect.